Stella Glow, a SRPG for the Nintendo 3DS is one of those games that almost never came out. 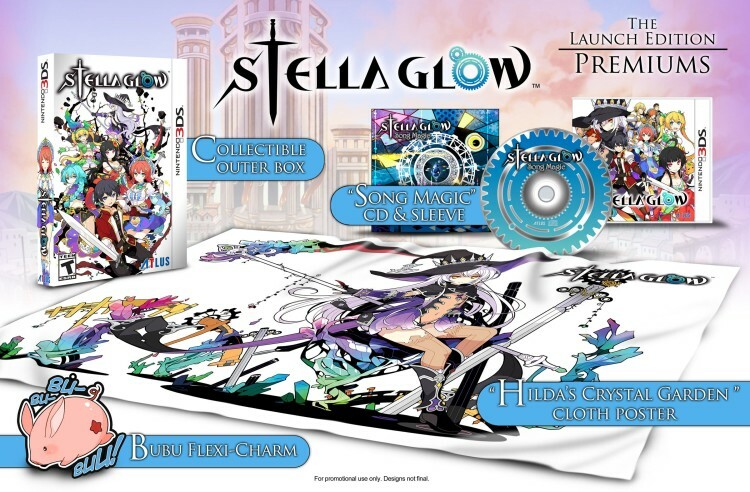 The developer Imageepoch was not only going to develop it themselves, but also self publish Stella Glow to celebrate the studio’s 10th year anniversary. Sadly the company had to file bankruptcy. SEGA picked up the publishing rights for the game in Japan and like typical SEGA fashion, had no plans on publishing it outside of Japan. In comes Atlus, who picked up the title to distribute in North America (game is coming to Europe via NIS America) and now we have a release date! Set your calendars to November 17th, the game will retail for $49.99/ CA$59.99. If you get the game during its launch window you will get the ‘Launch Day Edition’ upgrade for free. Hit jump to read what you get with the Launch Day Edition of Stella Glow.